Singapore – September 19, 2018 – As organizations look to expand the value of analytics, developers are playing a key role in creating new and innovative answers to big data and IoT challenges through advanced custom analytics. Qlik® is committed to helping developers take on any business need they can imagine more easily through analytics in all its forms. 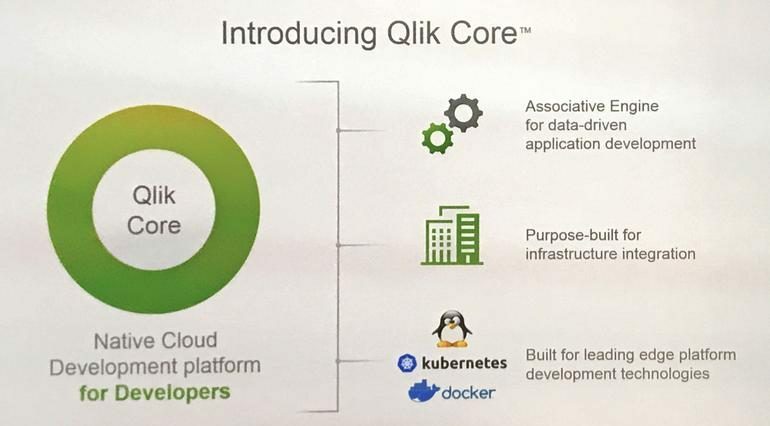 Today Qlik reconfirmed that commitment by expanding the developer analytics canvas with the general availability of Qlik Core, the company’s platform for building new classes of data-driven applications leveraging the Qlik Associative Engine. The ability to be managed with Kubernetes for implementing, scaling and managing containerized applications. Qlik is on a mission to create a data-literate world, where everyone can use data to solve their most challenging problems. Only Qlik’s end-to-end data management and analytics platform brings together all of an organization’s data from any source, enabling people at any skill level to use their curiosity to uncover new insights. Companies use Qlik to see more deeply into customer behavior, reinvent business processes, discover new revenue streams, and balance risk and reward. Headquartered in Radnor, Pennsylvania, Qlik does business in more than 100 countries with over 48,000 customers around the world. © 2018 QlikTech International AB. All rights reserved. Qlik®, Qlik Sense®, QlikView®, QlikTech®, Qlik Cloud®, Qlik DataMarket®, Qlik Analytics Platform®, Qlik NPrinting®, Qlik Connectors®, Qlik GeoAnalytics®, Qlik Core®, Associative Difference® and the QlikTech logos are trademarks of QlikTech International AB, which have been registered in multiple countries. Podium Data® is a trademark of Podium Data, Inc. Other marks and logos mentioned herein are trademarks or registered trademarks of their respective owners.